Gift Cards Available for immediate download! 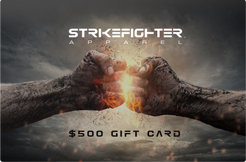 Give them the gift of choice with a STRIKEFIGHTER APPAREL Gift Card. 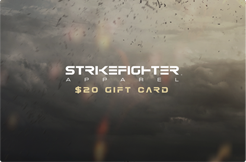 Gift cards are issued right after your transaction is approved and are delivered directly to your email. 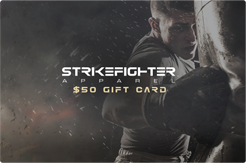 They contain instructions on how to redeem them at checkout. 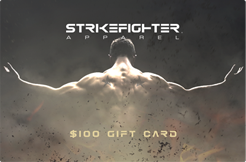 Our gift cards have no additional processing fees.